The personalised letter from Santa is becoming an iconic part of the festivities, it allows children to get excited in the run up to Christmas and because it is personalised they instantly feel a connection with Santa. We have many Santa letter designs that your customers can choose to personalise and send to their little ones. 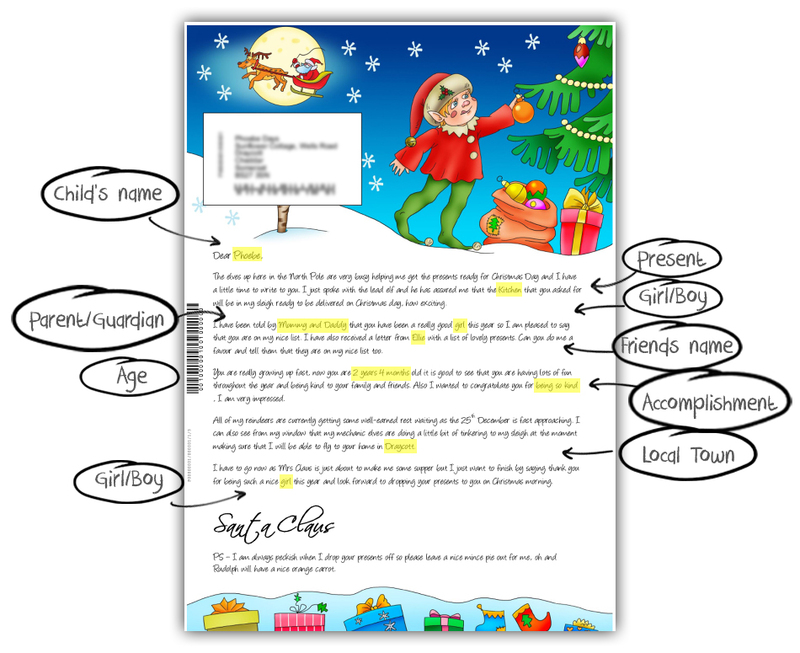 As we can dynamically populate Santa letters with personalised information, there are so many options available to you, so you can either use on of our designs or you can be creative with your own design. Below is an example of one of our letter designs along with an indication of the personalised information that is contained within the letter.